Wendi's Book Corner is taking part in the Bringing in Summer Giveaway Hop hosted by Karma Media. A fantastic magazine packed with easy, fun projects and activities … an excellent source of inspiration for primary school teachers, classroom assistants, childminders & nannies, nursery teachers, playgroup and pre-school organisers, home educators, Rainbow, Brownie, Guide and Scouting leaders and, of course, parents and grandparents! USE YOUR LOAF! - Take some slices of white bread and transform them into a colourful mobile. JEWELLED TREASURE - Make your own treasure trove using paper plates, sweet wrappers and tin foil! HATS OFF FOR ROLE-PLAY! - Six great hat ideas to give your role-play sessions a headstart! VANILLA CUPCAKES - The prettiest cupcakes you’ve ever seen - perfect for a Mother’s Day tea. FIREBIRD BALLERINA - A beautiful, step-by-step art project using a number of different techniques including drawing, painting and collage. MIRROR IMAGE - Decorate a little mirror and turn it into a colourful gift for Mother’s Day. This amazing giveaway is open Internationally!! Winners Choice of Online or Printed Annual Subscription!! YOU CAN NOW ENTER THE FOLLOWING GIVEAWAYS - GOOD LUCK !! The Lenovo speaker model M0520 is a really nice looking little USB speaker with a main speaker and built-in amplifier and sub-speaker. One of the most helpful features of this speaker is the USB connection, which allows you to use it with your computer, laptop, mp3/mp4 player, smartphone or any other piece of equipment with a USB port. This means that you don't need an electrical outlet to bring some powerful sound to your life. The Lenovo speaker only uses 4 watts of power and also has an energy saving feature, so it also won’t be stealing all your computer’s power. These speakers would be great to help save space and cut down on desk clutter. They would also be great to have for taking places where you want to listen to music without the need for headphones or bulky speakers (wouldn't it be great to have music playing at the family picnic you are planning next month, or to take hiking?). In nice weather, our family spends a lot of time outside. We like to cook on the bbq, garden, play, and relax, and we LOVE to listen to music, so I can see myself using these speakers to bring our favorite music outside for our enjoyment and entertainment. With camping season almost here (we just did a trial-run in the back yard with the kids) this would be a great way to bring favorite music and entertainment to the great-outdoors, while not taking precious packing space. How could these speakers make your life easier? I was sent two samples of meat rubs (Poultry Rub, Coffee-Cocoa Rub) created by Spencer O'Meara and Sarah Burchard, the talent behind the San Francisco-based brand. I decided to try them both out on some chicken so I could compare them with our family side-by-side. A perfect blend of herbs and spices for all of your poultry needs, no matter whether you are roasting, frying, grilling or sauteing. Using the best ingredients from the San Francisco bay area, Blue Bottle Coffee and TCHO chocolate, we have created a rich, nutty and herbaceous rub great for braised meats, grilled lamb chops or steaks. * As a side note, I was especially excited to try out the Coffee-Cocoa Rub... as a life-long Seattlite with Scandinavian roots, coffee has been a big part of my life... even though I don't drink it. Gasp - yes, I admit to not being a huge fan, although I have worked at an espresso stand and love coffee ice creams and other coffee flavored treats. So I loved adding a coffee-based rub to my ever-expanding list of coffee-ish recipes - this will be a staple at our house. When I cook with rubs, I either do the traditional "rub" where you rub the seasonings into meat and let it rest prior to cooking, or I create a wet rub by putting some olive oil into a zip-lock bag and adding the rub seasonings, squishing it around to make sure it is nicely mixed, then adding the meat and letting it marinade for a few hours. I used the latter method and had GREAT results! I created two marinade bags and let the chicken marinade in the refrigerator for about 3 hours. I then heated up the grill and got cooking. I like to turn my meat every few minutes so it stays moist and doesn't dry out. This was great for the rubs as it kept the juices on the chicken and they turned out wonderfully. The kids are sometimes picky when I put spices on "their" meat, so I was also impressed that each boy kept scarfing the chicken until it was gone. In the picture of the cut chicken, the Coffee-Cocoa Rub chicken is on the left and the Poultry Rub chicken is on the right. It is rare that I find a marinade or rub that the entire family loves, but both of these were thumbs up by everyone. Check out their website for some great recipes that use their rubs and marinades. Here are a few: Bacon-Ranch Potato Salad (I can't wait to give this one a try), Baked Beans, BBQ Spiced French Fries, Coffee-Cocoa Braised Short Ribs. 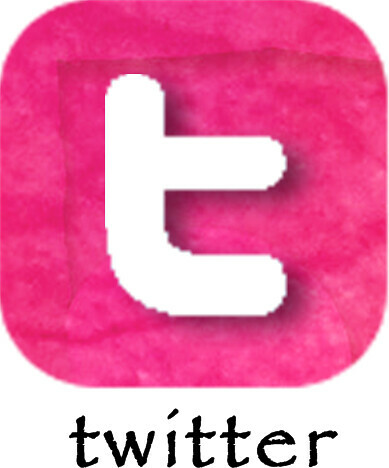 Also find them on Facebook and Twitter! Edition Reviewed: I received two samples for my participation in this Karma Media campaign. All opinions and statements are 100% mine! With an emphasis on both simplicity and innocence, Gothic Innocence creates beautiful handcrafted jewelry pieces with a combination of Gothic and Fairy themes. They have many wonderful pieces including lockets, pins and pendants, all of which can be customized with a chosen cameo and selected from a wide range of colors. When given the opportunity to review one of their pieces, I fell in love with this locket featuring a fairy boy looking at a hummingbird, but the choice was really hard. I honestly picked this piece because I have two boys, ages 2 and 5, and while they are certainly not as fairy-like, I like to think of them as innocent explorers who are still amazed at the flight of a big fuzzy bumble bee or the hovering hummingbird who visits our lavender bush. This piece is very special to me because of what it means to me. In addition, I'm having their pictures done specifically to be added to this locket. The detailing of the cameo and locket are stunning, and I love the colors and craftsmanship. With so many beautiful cameos featuring fairies and nature, and so many Gothic pieces with skulls and crossbones or an elegant Gothic Lady, everyone is sure to find some great pieces for themselves or to give as gifts. I was also really impressed to find out the Gothic Innocence remains as green as possible and recycles in their jewelry-making process. They also periodically use portions of their proceeds to support charities that are important to them due to family health problems. Edition Reviewed: Fairy boy and hummingbird cameo locket - Review copy received courtesy of the Gothic Innocence for participation in a Karma Media Campaign, all views and opinions are 100% mine! 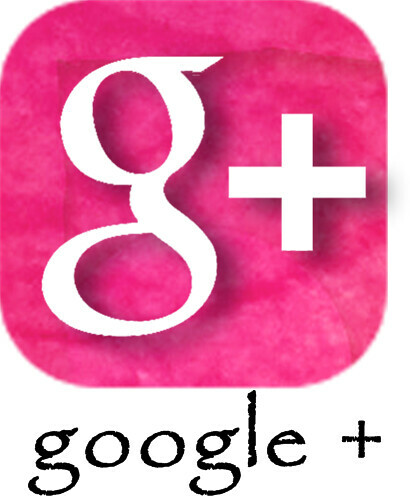 Stop by these other blogs and see what they had to say about Gothic Innocence! *Disclosure: I received a locket for my participation in a Karma Media campaign, all views and opinions are 100% my own. 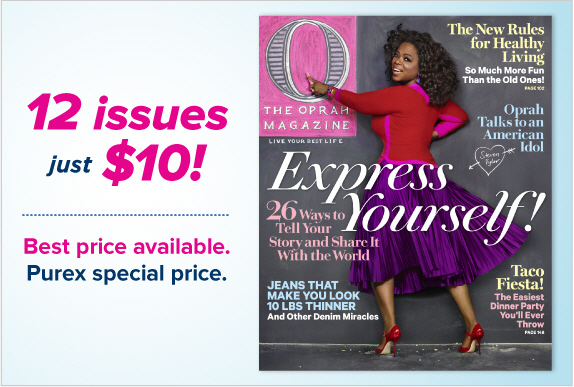 Purex has teamed up with the publishers of O Magazine to bring you a 1 Year Subscription (12 issues) for only $10! O Magazine, whose motto is Live Your Best Life, is full of great articles about health, relationships, fashion and beauty, books, entertainment and much, MUCH more! *Disclosure: I am a Purex Insider. This great deal was shared with me and if enough people subscribe via my link, I have a chance to earn an Amazon gift card. 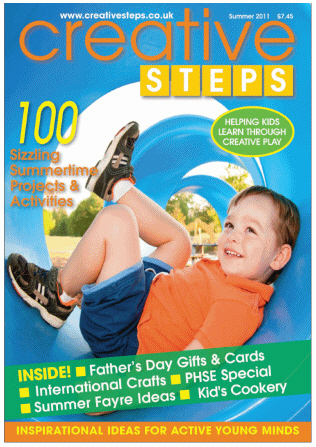 Creative Steps Magazine is one of THE best children's (ages 0-11) activity and learning magazines I've ever had the pleasure of viewing! 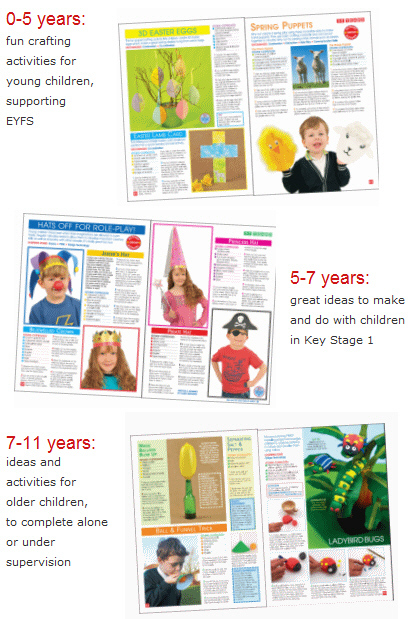 Unlike lots of other child-related magazines, this one is FULL of activities to do with children in different age ranges. There is very little advertising, leaving the majority of the magazine full of child-related articles: most are activity based (crafts, projects, games), with some age-appropriate kids books, and a few recipes. This magazine would be great for anyone who has or works with children (pre-school teachers, elementary school teachers, day care providers, kids groups, Brownies groups, parents, grandparents, etc), as their goal is "Helping Kids Learn Through Creative Play." The quarterly magazine is based in the UK, and has both digital and print editions available. My Thoughts on the Print Version: I have to admit that I am a bit partial to something I can physically hold and carry around with me on playdates, and to have in my purse in the event that I have to wait somewhere, especially with the kids, and this is a great magazine to have with me. The colors are bright and there is so much great content to look through! My Thoughts on the Digital Version: I was surprised at how much I enjoyed the digital version, and you MAY be able to convince me that this is the way to go! Not only can you view it online, but you can choose to download (in PDF format) individual pages or the whole magazine. So, if you wanted to do a specific project but didn't want to be tied to the computer for the step-by-step directions, you could download the pages and print them out! You don't have to worry about losing the magazine, and it won't take up any physical space. 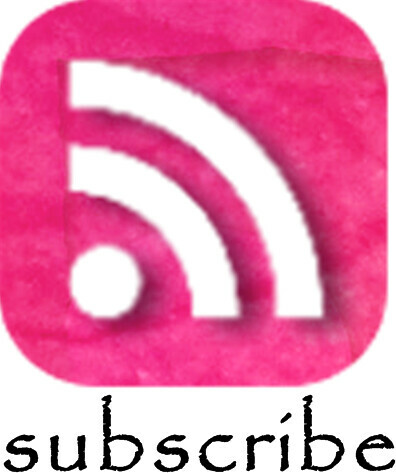 PLUS - subscribing to the digital version will save you a bunch of money, especially for those of us in the US. Edition Reviewed: 2 Issues - Review copies received courtesy of the publisher, many thanks to both the author and the publisher for sending me a copy to review! *Disclosure: I received 2 print copies of the Creative Steps Magazine via the Karma Media campaign so I could share my honest opinion with you. 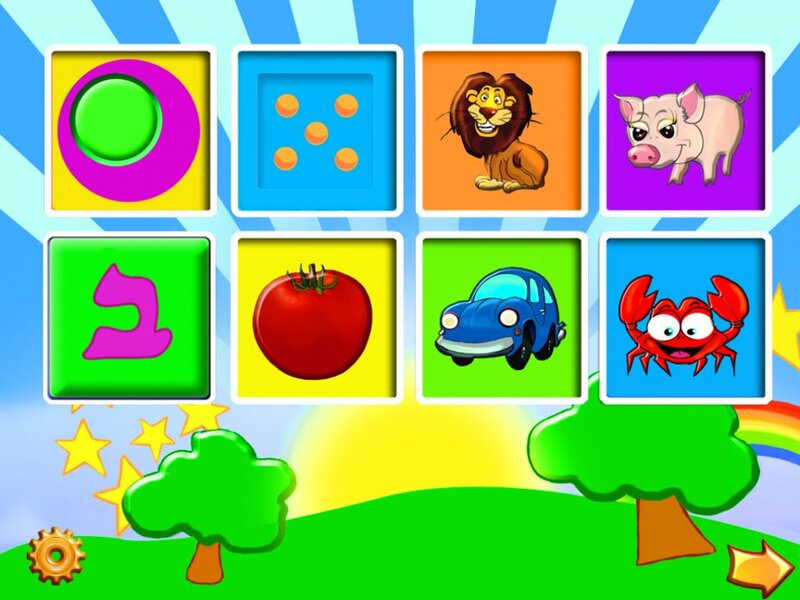 With over 16 different bright and colorful puzzles to choose from (each with between 8 and 26 puzzle pieces to match up) the Kids 1st Shape Puzzle app for iPod/iPad/iPhone is sure to provide hours of fun and learning. 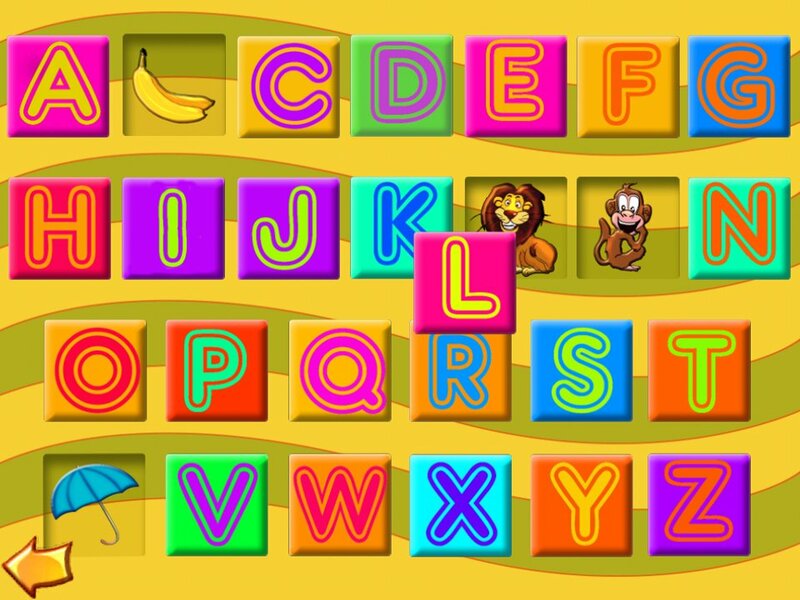 The puzzles include themes like: colors, counting, safari animals (shown at left), farm animals, alphabets (both Hebrew and English), vegetables, fruit, transportation, shapes, ocean animals, musical instruments, clothing, emotions, house-related items and toys. This learning "game" is now a favorite of my 5 year old during the rare moments when I let him play a game. It is actually a cleverly disguised learning tool (in Hebrew and English). 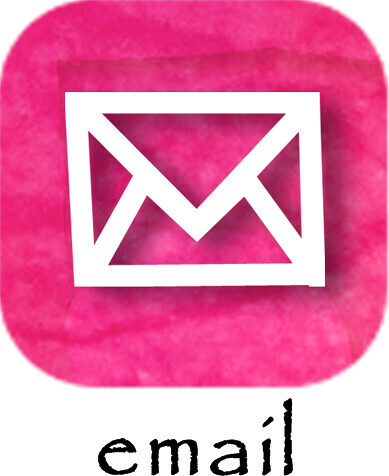 Stop by my review of the app here. Win your own copy of this great app! There will be three winners, and the giveaway is open World Wide. 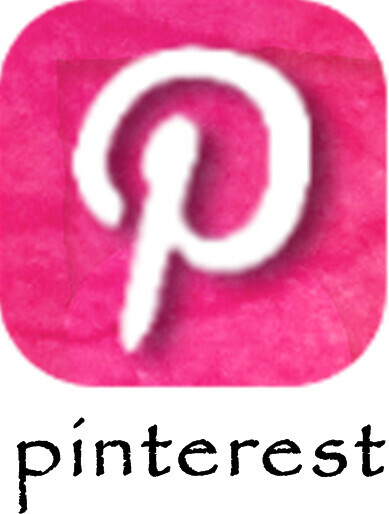 The app is available in the iTunes Store, and works on the iPod Touch, iPad and iPhone. Don't have an iPod? Win the app for a friend! Entry is easy - Just enter on the Rafflecopter Form below - if it isn't showing, give it a moment or use F5 to refresh the page. 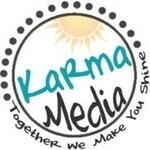 This giveaway is brought to you by Karma Media as part of a review campaign. 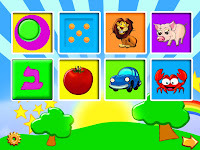 The Kids 1st Shape Puzzle App for iPod and iPad is great for young kids learning sounds, shapes, words and matching. 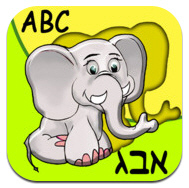 While iTunes has the "game" listed as ages 1-3 and 4-7, I'd say ideally, the age range is probably 2-6 (although I've had a lot of fun trying the different puzzles and trying to figure out the Hebrew Alphabet on my iPod Touch). 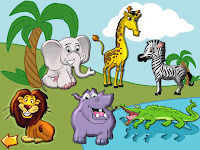 There are 16 different puzzles, each with between 8 and 26 puzzle pieces to match up, including: colors, counting, safari animals, farm animals, alphabets (Hebrew and English), vegetables, transportation, ocean animals, shapes, fruit, musical instruments, clothing, emotions, household items, and toys. The menu is easy to navigate. There are two pages of colorful choices. There is also the option to change between Hebrew and English (this can easily be changed in the settings menu). Little fingers can very easily use this app and learn quickly what each menu choice does. Some of our favorites are the animals and the alphabet. I found it interesting that my 5 year old loves to do the matching as quickly as he can, while my 2 year old loves to listen to the voice while trying to match the puzzle pieces. Puzzle matching is done easily, by simply dragging each piece across the screen as it appears. When a match is made, a voice says the word, and a new piece appears in the middle of the screen. At only $1.99, this app is a great one that will help little ones learn and have fun. Another great thing about this app is that it exposes young children to the concept of multiple languages and provides a platform for early learning of a second language. What a great skill to have! Find out more about Kids 1st Shape Puzzle at their Facebook page, and download the app from iTunes Store here. Edition Reviewed: App on iPod Touch - Review copy received courtesy of the maker in coordination with this Karma Media Campaign, many thanks! 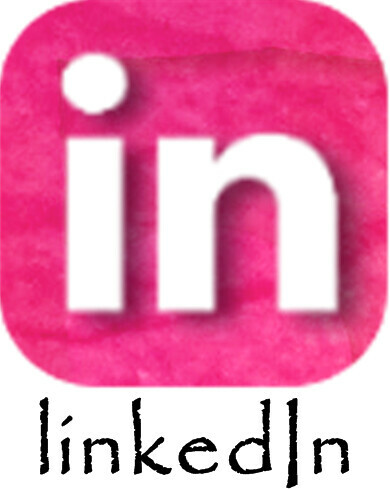 *Disclosure: I received a free copy of the app via the Karma Media Campaign in exchange for my honest review. A few years ago, we started a family garden at our house. It is small, just a 4x4 square garden plot with a newly added pergola to hold hanging fruits and veggies, and a newly added hanging gutter garden. What makes our garden so special to us is the love we put into it and what it gives back to our family in the excitement when small hands get to pick the fruit or vegetables and eat it! I hope to make our garden 100% organic next year by using organic soil and organic plant food by Whitney Farms®. Having an organic garden would make me feel safer about eating the things we grow in it. With safe, organic products like these, I believe our garden will be better than ever! Stop by Whitney Farms® and get a $3.00 coupon to try out Whitney Farms products for your garden. So, I have to admit that I don't generally skim ahead in books or series, but I was late to the game with Hunger Games and after staying up late to finish the first book, I had to see where Catching Fire and Mocking Jay were headed. As a result, I only got glimpses into the story, and I didn't like what I read! Now, fast-forward a few months, when our book club decided to read Hunger Games and LOVED IT so much so, that everyone wanted to read book 2. Now, I wasn't thrilled about this turn of events because I thought I'd skimmed enough to know what was going to happen, but boy was I surprised to read the entire book and get an entirely different insight into the story! I just finished Mocking Jay way ahead of our book club's schedule because I couldn't put it down! I also came away with an entirely different view of the series, which I now LOVE. :) It just goes to show that some books really shouldn't be skimmed at all! 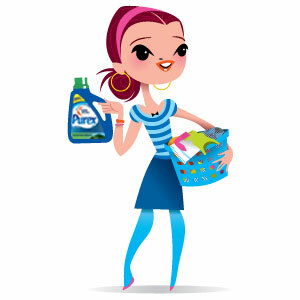 Purex: Let's Be Honest - Your Chance to Win Laundry Detergent For 1 Year! I don't know about you, but I spend plenty of time doing laundry every week, so it is important to find great products that help keep our clothes clean, and Purex has some of those great laundry products. Now through July 24th, Purex is hosting a Let's Be Honest campaign. Together with Second City Comedian Molly Erdman, Purex has created some very fun and light-hearted videos created to share some of life's funny laundry moments. On top of the fun videos, they have a sweepstakes with daily winners - for a YEAR'S worth of Purex! Stop by Purex.com and check out their new Let's Be Honest Campaign. While there, watch a short movie or two and enter to win a year's supply of Purex!! *Disclosure: I am a Purex Insider. I occasionally get to try out new products so I can share them with you. I am sharing about their new Let's Be Honest Campaign for a chance to receive some Purex coupons.